You are at:Home»Diet & Eating»Is Rice Fattening? Rice is the most popular food in all of Asia and possibly the entire world. For tens of thousands of years, the Asian population has been eating rice and very rarely do any of these cultures suffer from weight gain issues. So, we must ask ourselves – is rice fattening? Rice is in fact a carbohydrate and although many diets instruct you to stay away from carbs, rice is an exception. Carbs and fats are both nutrients that the body requires to convert into energy. When you overeat one or both of these key nutrients your body ends up storing fat – because the carbs are burned first. Consuming large amounts of white rice while trying to lose weight will not work. Like things we eat we must use moderation. Rice itself will not make you fat but eating rice while eating other unhealthy and fatty foods and not staying active will. Keeping that in mind we can answer the question is rice fattening? No – rice is not fattening if the energy it produces is used. Staying active is important in making sure your body properly processes rice and other foods. Without that no matter what you eat will be stored as fat. Is Brown & White Rice Fattening? Many people are under the impression that brown rice is healthier than white rice, but for the wrong reasons. 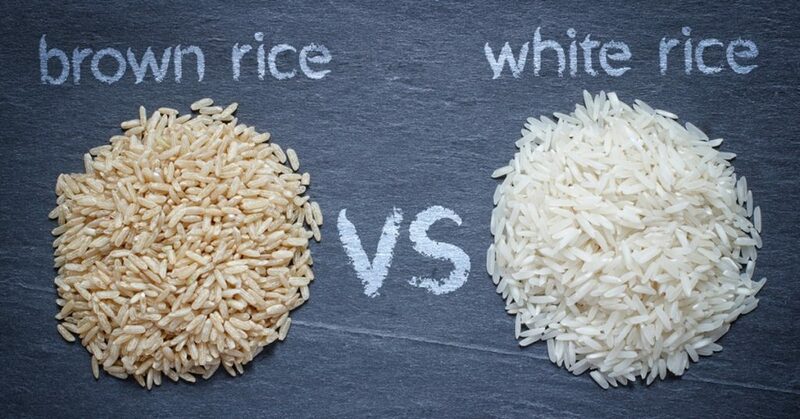 One cup of white rice contains approximately 175 calories while one cup of brown rice contains 200 calories. Although white rice contains fewer calories brown rice is actually better for your body and for weight loss. Brown rice contains 3.5 grams of dietary fiber per cup as compared to zero grams in white rice. Because this fiber takes longer to break down you will be less likely to feel hungry after eating. Additionally, the fiber will help prevent constipation and has been known to lower your risk for heart disease and for diabetes. Always eat steamed rice instead of fried rice. Stick to brown rice instead of white. Be sure to eat other foods that contain fiber and protein in order to help y our body better digest. Be sure not to cook too much rice. We recommend 4 ounces of dry rice per person – this will help prevent you from overeating. Wash the rice at least two times before cooking it. In order to reduce starch levels, boil the rice with more water than directed and strain this water out when nearly done. Fried rice is most definitely not healthy for you – especially when prepared at a restaurant. Fried rice usually contains excess oil and fat (many places even use butter) and sometimes even MSG. If a restaurant offers fried rice with a meal, ask politely if they can substitute plain steamed brown rice instead. Most restaurants will gladly do this. 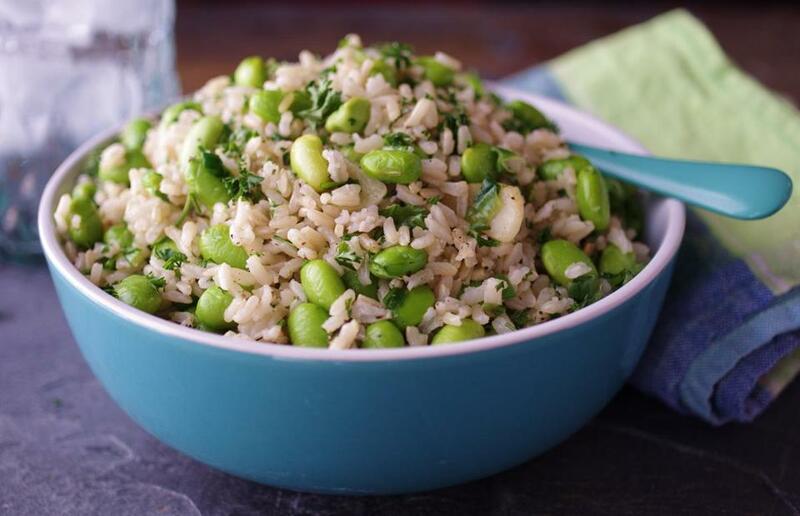 This recipe will keep you from asking yourself “is rice fattening”? This recipe is enough for two people. If cooking for a larger or smaller group just adjust the measurements up or down. In a sauté pan, bring 1 1/2 cups salted water to a boil. Add the brown rice once the water reaches a boil. Reduce heat to a simmer. Cover the pan and cook for 30 minutes. Stir in the edamame, cover and cook for another 20 minutes. In mixing bowl, whisk together lime juice, rice wine vinegar, sesame oil and sugar. Continue to mix up until the sugar is fully dissolved. Add the lime juice mix and scallions into the cooked rice and stir them in completely. Season with salt and pepper to your taste. When someone asks you is rice fattening you know – it is not. Rice is very healthy and provides a great source of carbohydrates and fiber (brown rice). However, keep in mind that any food can be fattening when consumed in excess. But in order to lose weight you must stay active!